Gilis Opslag specialises in providing comprehensive logistic services of the highest quality. Our business philosophy focuses on open communication towards clients. Our ISO 9001:2008 certification confirms this philosophy. The flexible, client-driven services we offer ensure that our clients always come first. 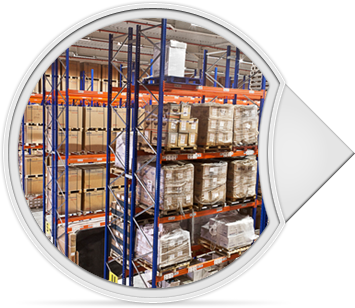 We adjust the opening hours of our warehouses (8 a.m. – 5 p.m.) to the needs of our clients. In addition and if required, we provide a shuttle service from your factory or plant to our warehouses. Administration and customs documents can be completed on the spot. Our motivated team of warehouse staff are at your service at all times. The safety of your goods is guaranteed by the janitor who monitors the company premises day and night.